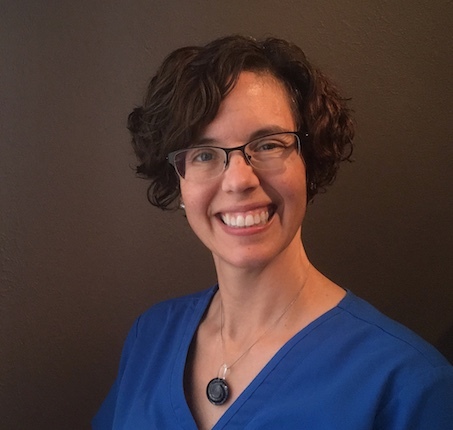 Shannon Goins is a Certified Lymphedema Therapist (CLT), and Medical and Myofascial Massage Therapist who relocated to Albuquerque with her boyfriend in June 2018 from the greater Phoenix area. “We moved to Albuquerque kind of on a whim after I unexpectedly lost my place to live due to health-related issues of the property owner. I kind of saw it as my nudge to move on from Phoenix after living there for a year and a half. Coincidentally, my boyfriend had been offered a job in Albuquerque about 5 months prior that he had turned down. I asked if it was still available. When he found out it was, we decided then and there to move. It was absolutely the right decision. The longer we are here in Albuquerque, the more we love it. We are especially fond of the reverence for quirkiness that is so uniquely Albuquerque. After living on the West Side in the Corrales-adjacent area of the city, we moved down to Nob Hill to be closer to my office. There are just so many great areas of town that it is hard to choose a place to live. In addition to being an outdoor enthusiast (and a big nerd), Shannon’s favorite pastime is travel. Her first international solo trip was in 1992 when she was 19 years old. She went with a supervised group from her college to visit Germany. When the trip was over, everyone but Shannon got on the plane to go home. “So, when we got back to Frankfurt to get on the plane to go home, I wasn’t ready. This Europe thing was pretty cool, so I decided to stay and have a look around. The first country I visited totally by myself was Poland – in 1992. No one spoke English at that time. The Berlin wall had only recently fallen, and Westernization had not yet reached Poland. Although I spoke some German at the time, I was advised not to by several people as Germans weren’t so well-liked. That left me to pantomiming and drawing pictures to get around the country – and I did it – all by myself at 19 years old. It was challenging, but I learned how to be self-sufficient in a very short period of time. It was a tremendous confidence builder. In 2015 I took a 2 year trip in an RV around Canada and the Western US states with my 2 Jack Russell Terriers (both now deceased). It was one of the best trips I’ve ever had being able to spend it with my dogs in their last couple of years. 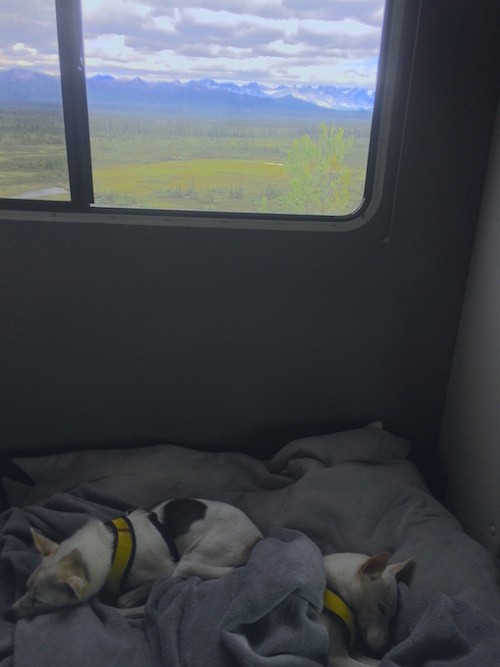 Pups sleeping in then RV while on the Denali Highway. The Alaskan Mountain Range is off in the distance. Originally from Little Rock Arkansas, Shannon begin her training in 2013 in the field of massage therapy and has over 1200 hours of education related to Manual Lymphatic Drainage (MLD) and Complete Decongestive Therapy (CDT), Electro-Lymphatic Therapy (ELT), Medical Massage, and Myofascial Release. Shannon received her Certified Lymphedema Therapist (CLT) training from KLOSE Training. Her Medical Massage and Myofascial Release specialty certifications were earned at the Southwest Institute for Healing Arts in Tempe, AZ. It was during her training and Medical Massage that she fell in love with Manual Lymphatic Drainage (MLD) work. To that end, she pursued the respected CLT (Certified Lymphedema Therapist) certification to help people who suffer from lymphedema. Her CLT Training included Complete Decongestive Therapy techniques like bandaging for persons with lymphedema. In June of 2018 she became certified in Electro-Lymphatic Therapy which uses a device called the XP2 that effectively releases stagnated lymph by dissociating protein molecules in lymph – something that can’t be done easily manually. The CLT certification proved to be the ideal advanced training avenue because it built on the foundations of Oncology Massage, Breast Health, Scar Massage, Elder Massage, and adaptive massage for various medical conditions that constituted the core of her medical massage training. “My own mother suffered from lymphedema following a double radical mastectomy in 1992, but she was given little to no information about the condition. As a result, she suffered severe depression and social anxiety until she passed in 2013. Even now, so if you medical professionals are well-trained and lymphedema risk, prevention, and treatment. I want to serve as a resource for people to get them that information and quality treatment that makes a difference and how they feel and feel about themselves. Since becoming a CLT, I have learned that lymphatic drainage doesn’t just apply to people with lymphedema. Lymphatic Drainage can help people suffering from post-operative swelling (including cosmetic and reconstructive), who have Fibromyalgia and Chronic Fatigue Syndrome, or who just want a powerful detox. It can also be used to enhance athletic performance and improve how we feel. Lymphatic Drainage can also have a cosmetic effect by helping to drain a puffy face. My main objective when working with clients, no matter what brings them to my office, is to have them leave feeling significantly better than when they walked in. Shannon’s practice also includes PEMF (Pulsed Electromagnetic Field) Therapy, CranioSacral Therapy, and Reflexology. “Although I have over 100 hours of training in CranioSacral Therapy and another 100 hours in Reflexology, my typical sessions wouldn’t be classified as a ‘CranioSacral’ or ‘Reflexology’ session. I pursued advanced training in these two disciplines because they give me a wider range of skills from which to draw to help my clients. For example, a person who is in extreme pain can find immediate relief when they are relaxed into the parasympathetic state. CranioSacral skills allow me to do this quickly and effectively. Likewise, if a person has a problem such as sluggish lymph that isn’t responding to standard treatment, I can go to their feet and work the reflexology points for the lymphatic system to help it out. 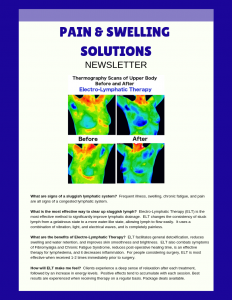 Similarly, I use Pulsed ElectroMagnetic Field (PEMF) Therapy as an adjunct therapy for most every condition because it is so effective in facilitating overall health and healing. I am always looking for ways to be more proficient in my work. If that means another 100 hours of training in a new discipline, you’d better believe I’m going to do it.